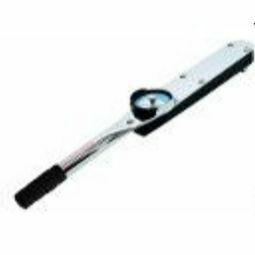 Dial Torque Wrenches are designed for the automotive, nuclear and industrial markets in addition to military installations throughout the world. 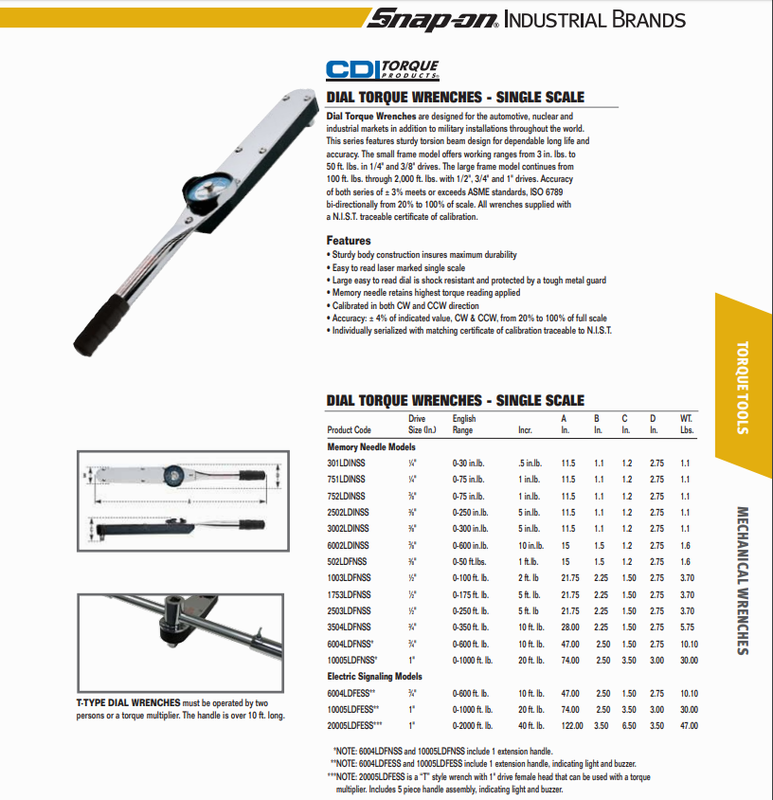 This series features sturdy torsion beam design for dependable long life and accuracy. The small frame model offers working ranges from 3 in. lbs. to 50 ft. lbs. in 1/4" and 3/8" drives. The large frame model continues from 100 ft. lbs. through 2,000 ft. lbs. with 1/2", 3/4" and 1" drives. Accuracy of both series of ± 3% meets or exceeds ASME standards, ISO 6789 bi-directionally from 20% to 100% of scale. All wrenches supplied with a N.I.S.T. traceable certificate of calibration. Product Code Drive English A B C D WT. Memory Needle Models Size (In.) Range Incr. In. In. In. In. Lbs. 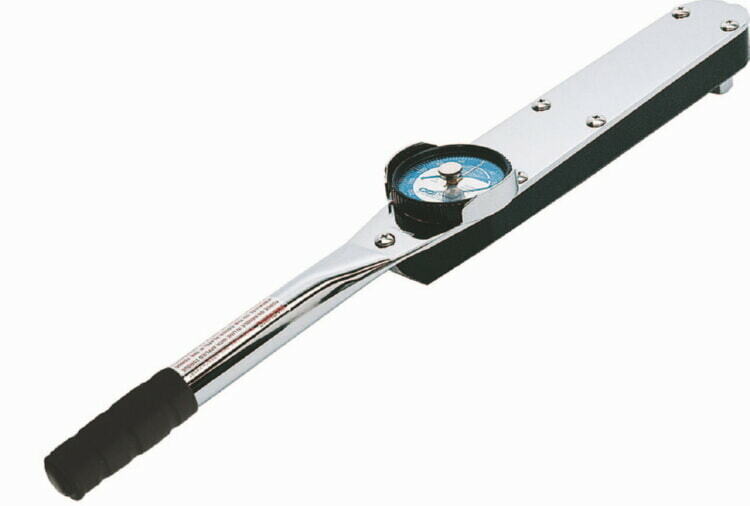 T-TYPE DIAL WRENCHES must be operated by two persons or a torque multiplier. The handle is over 10 ft. long.